Some slimline tenders can be used as recreational exercise machines, because they are fitted out with sliding seats, outrigger oarlocks and sophisticated oars. They can even be fitted with rear-view mirrors, which is something we plumper beings could copy. Or, we could just make sure our passengers point us discreetly in the right direction to save us having to keep turning around. The famous Eric Hiscock said one reason for rowing ashore was so you can still have a quiet conversation, whereas people using an outboard engine don’t realise how loudly they are talking. 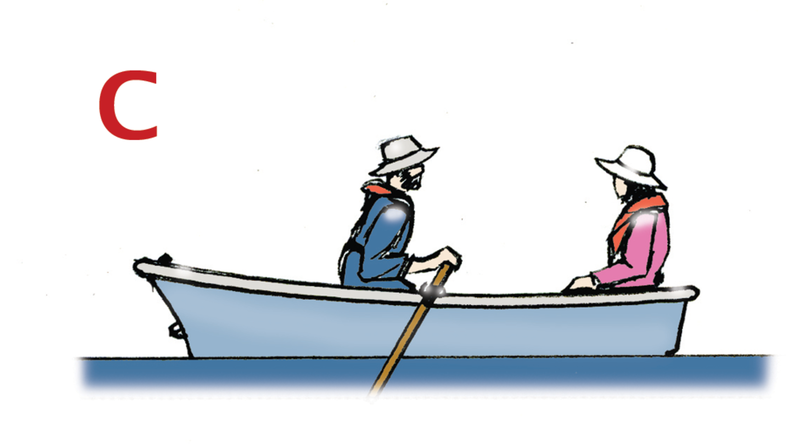 Another seemingly forgotten nicety is having long painters, so late arrivals can still push through other tenders to, say, the only ladder up the dock. 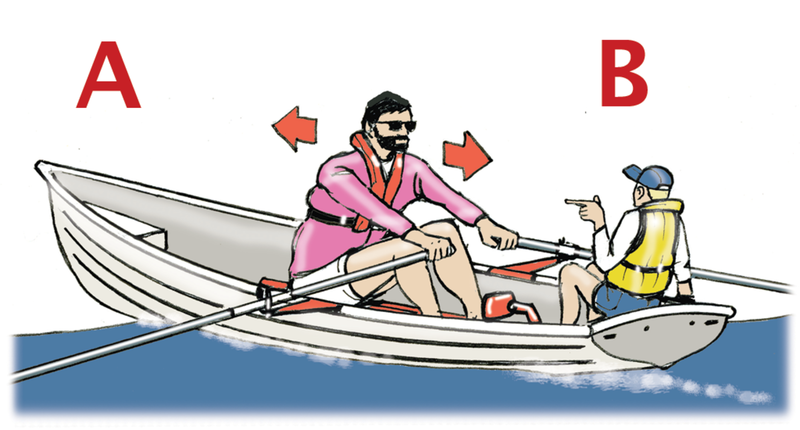 However, under way, tie it in a loop so it can’t reach your prop if it slips overboard. When landing on a beach, it can be very difficult to see what the waves are like from seaward. The traditional way of dealing with them is to turn quickly, and back in, using the oars to keep the bows into the waves—not easy! Another method is to drop a bow anchor to keep the bow into the breakers, and then ease out the line to get ashore. Having a bow anchor out can also help you moor the dinghy and get her off the beach again. Obviously, an inflatable is more buoyant and softer if you do have problems. In an emergency, small modern RIBs with strong hulls and powerful motors can often be run straight ashore, keeping them riding on the backs of the breaking waves.